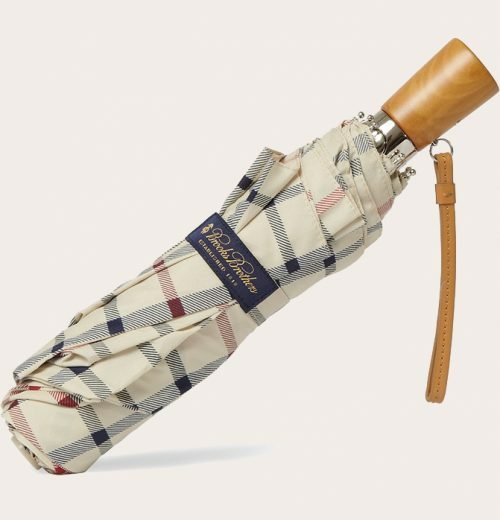 Keeping dry is just a click away. Simply press the automated button on this sleek style. DXL logo on wooden handle and on nylon sleeve. 58 arc; 22 long when folded. Imported.